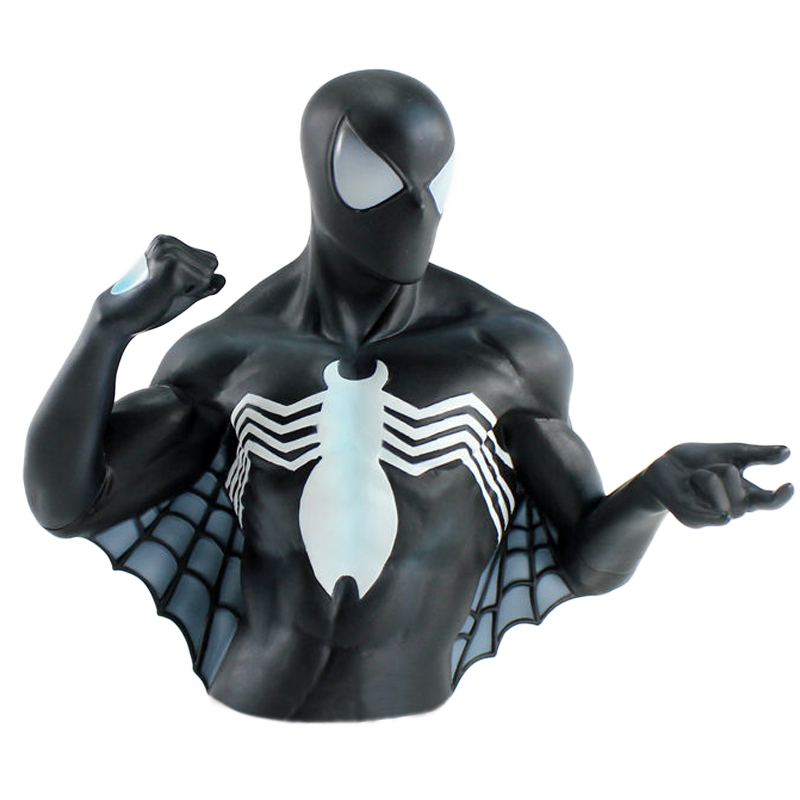 Black Suit Spiderman will make you question good, ol' Spidey! What's gotten into him, or onto him per say. Well, the real question lies in what will happen to your good, ol' Coins inside of him? 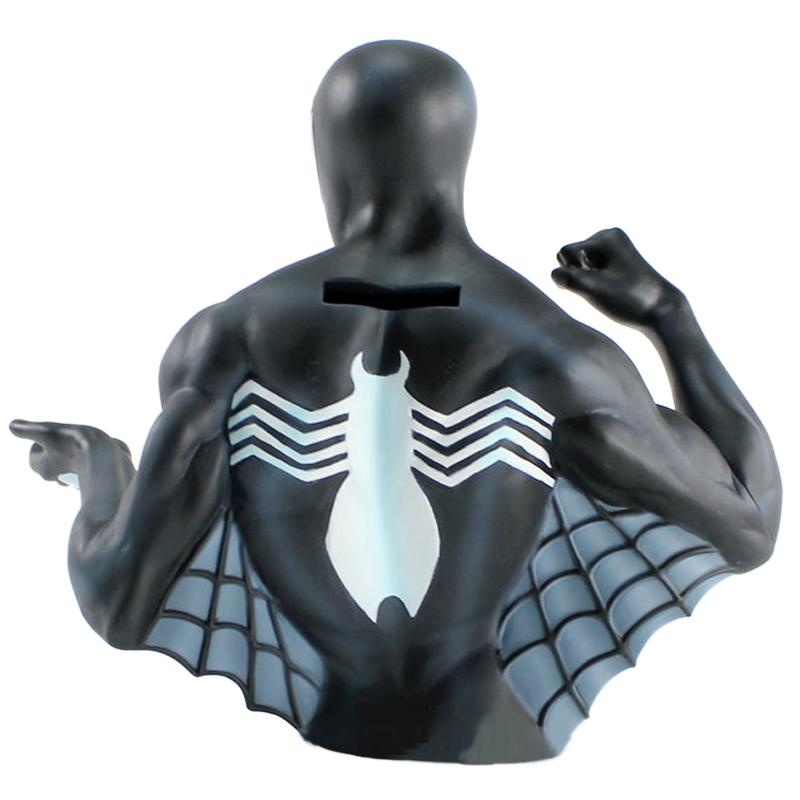 Feature: - Detailed 3D PVC figure . Figure about 8in height. Bottom Open /Close.